Welcome to Brash Talk #6 the newsletter of the Polar Tourism Guides Association (subscribe here). We hope you are enjoying the northern season. If member’s social media posts are anything to go by people are having a blast. Plenty to cover in this issue so please explore it and catch up on all our exciting news. Travelling home from your Arctic season? Don’t forget to use that airport downtime or wretched flight delay to grab a coffee or glass of wine and update your Log. Request – we have changed the ‘fields’ information on the Pro-File log-in page as we were missing some key information. If you were an early joining member could you please log in and update your profile and particularly your name under More Info. Graham has just returned from guiding a trip in Svalbard for EYOS Expeditions and reports how little ice there is this season, how far the pack edge is (they went to 82N to find solid pack ice and good bears). He also had this to say: the increasing traffic and number of vessels around the archipelago was noticeable and one of the most frustrating things was the number of operators who were not part of the AECO scheduler program and didn’t seem to care about busting in to an area already used or thinking that anchoring a mile away in plain sight and waiting was anything like wilderness etiquette. Frustration from operators seems to be building and this issue will need addressing. Katie Crafts is on the east coast of Greenland working with Natural Habitat. Phil Wickens is taking a break between Arctic contracts. Mariano is fully into planning the 18/19 Antarctic season, the A21 (Antarctica XXI) rebranding and the growth they will undergo. Sophie Ballagh has resigned form the BOD. We’d like to thank Sophie for her enthusiasm and work on the inaugural Board for the PTGA. Sophie has been a supportive driver of the concept since its very first iteration. She has worked hard on our PTQ development even before the association was created. It isn’t a total farewell though as we are planning to make a separate sub-committee to focus on technical skills issues and we hope to see Sophie as part of that. We have decided to increase the size of the Board closer to our constitutional limit. As a result we have Heather Thorkelson and Alex Cowan joining us. Alex and Heather bring a real passion for quality standards in polar guiding and valuable skills to the Board table. We have created two videos explaining the RCC process, why we do it and how to do it efficiently. 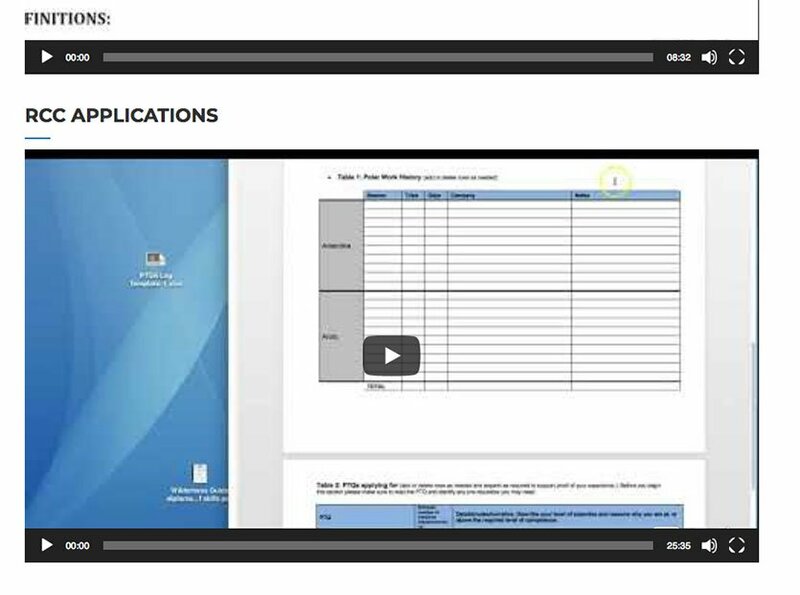 These are well worth watching before you start along the road of an RCC application. 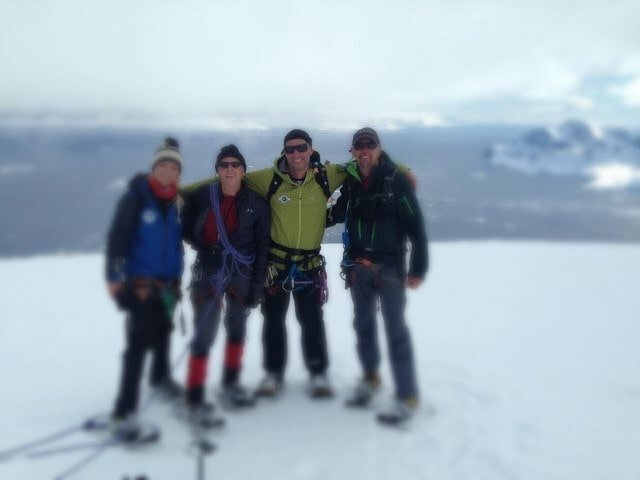 Tarn Pilkington (2nd from left in photograph) is a fully certified IFMGA Mountain and Ski Guide and works with Aurora Expeditions. we caught up with Tarn to find out why an internationally certified mountain guide joined the PTGA. You are a fully qualified mountain guide with years of experience, you are already at the very top of a high level award system – why start into this one? 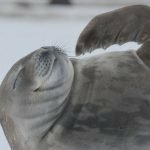 Antarctica presents mountain guides with some unique challenges. Although I can cross over much of my guiding experience directly there is much to learn especially in the first few seasons. Working around wildlife, interpreting Antarctic weather and driving zodiacs in sea ice and rough conditions. I learnt first-hand from other expedition staff and learnt by the old school ‘doing-as-I-went’. 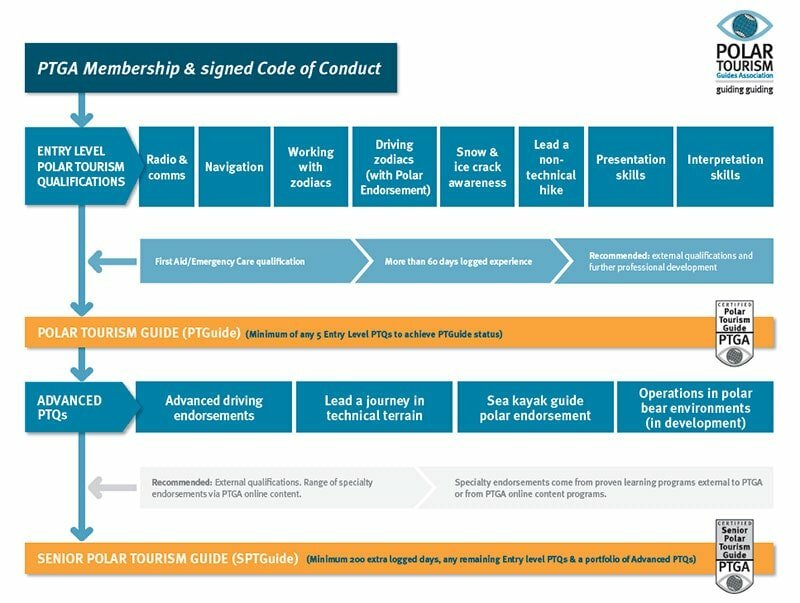 I see the structured approach advocated by the PTGA as being very beneficial to guides and new staff and look forward to continued learning myself. Do you see any development parallels with this industry and the professional mountain guiding industry? I trained within the NZ mountain guiding system and am a firm believer in building personal experience and obtaining industry qualifications. I was heavily involved in developing the NZ Heliski industry standards. These qualifications have been very beneficial to companies, guides, aircraft operators and our guests, as standards in safety, operation and service have been continually improving. The PTGA looks to be heading along the same path and by promoting an industry wide approach it can only be beneficial to all involved. Did you see any road blocks in the development of the NZ Mountain Guides qualifications system that we should be wary of? It’s better that the industry steers itself to set standards rather than be dictated to by bureaucracy or an external agency. Use an outcome based approach for guidance. Don’t get bogged down in the small detail. 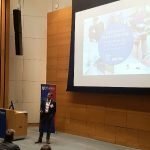 What is it about the concept of testing for minimum competency that you think will be beneficial for the polar guiding industry? Minimum competencies are used in most outdoor qualifications. By using the right assessment methods and the right assessors it is a fair and robust way to establish an industry standard. 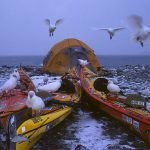 Favourite place as a polar guide and why? I enjoy all the places I go but seem to keep returning to to try and cross South Georgia! Favourite polar hero and why? The Qualifications Framework is on the move again! We are developing a qualification for those people leading dog-sledding journeys and handed off the draft work to some very experienced operators. Stay tuned and we are hoping to have this finished and ready to trial by next northern summer. 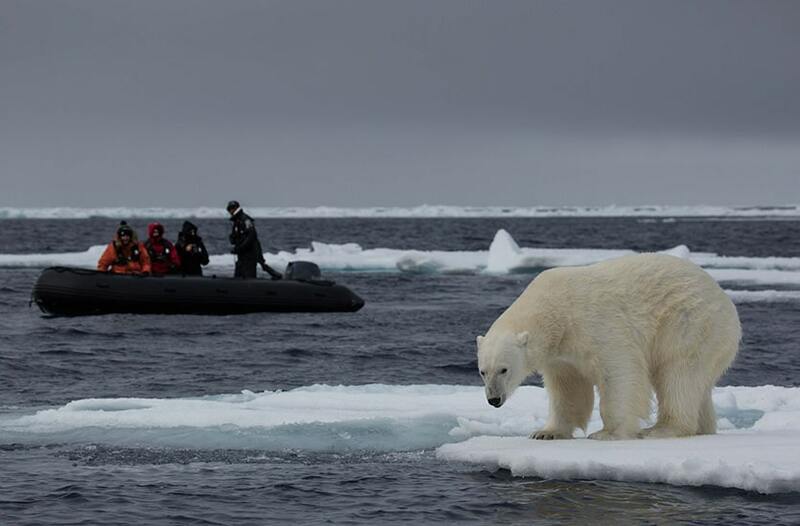 The Polar Bear Environments qualification is in its final review stage and should be live within a few months. Aurora Expeditions have officially joined our team of Accredited Provider companies. After a long but diligent review of what we do and what Aurora’s business and staffing needs are going into their next phase of development. We welcome them to our team. We are running two In-House Assessor training courses prior to the Antarctic 18/19 season. Polar Latitudes and Aurora Expeditions are both running In-House assessor training workshops to increase their access to assessors in order to keep staff moving through PTQs. Polar Latitudes are running an ‘on ship’ course during a mobilization trip for some senior guides. And Aurora Expeditions. If you would like to attend, or create an Assessors Training Course please let know. That way if we see an opportunity we can keep you advised. 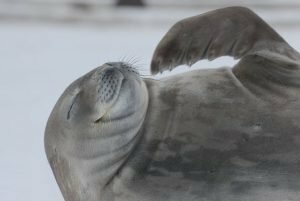 Accredited Provider (AP) Silversea Expeditions has been continuing the good work that was started in Antarctica during the 17/18 season with the Training Academy. 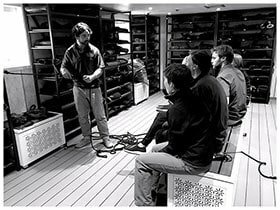 During that time, eight lecture staff who were new to the Polar Tourism Industry, were run through a 6-week, polar guiding specific training program aboard the Silver Cloud. As an AP company, all the training has been undertaken in-line with PTGA standards and PTQ syllabi. PTGA assessor Ewan Blyth has been continuing training and assessment work while guiding for Silversea and says enthusiasm and uptake is high. “The model works” says Ewan “but it needs a company that is keen to develop staff, an EL who will find room for opportunities and a staff cadre who are keen to learn and practise – we’ve had all of those things and we’ve been having a blast”. Ewan reports that drivers have participated in extensive zodiac and MOB training in Svalbard waters with driver self-recovery, using throw-bags, various assisted and unassisted rescues with a range of personal floatation devices and recovery of unconscious patients – all are important skills for a guide to know and understand BEFORE having to use them for real. We have submitted all our material for an ISO Audit of our systems and procedures to be measured against ISO Standard 21102 – Adventure tourism activity leaders’ competences. This is part of our due diligence and a way to establish credibility. We also want to live by our principles and if we expect to performance test our members/candidates we can be performance tested as an organization. 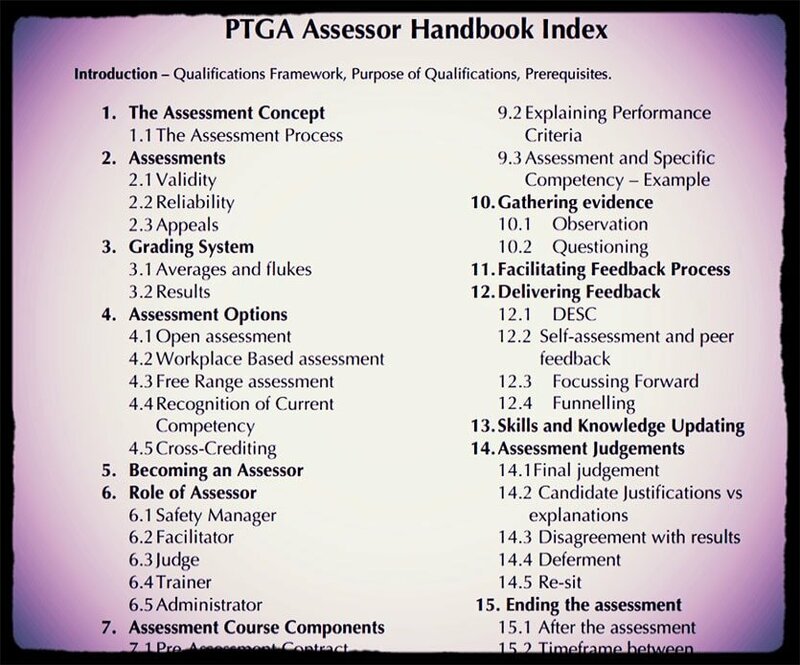 This audit is not about the content of our standards, it is mostly about our assessment and measurement processes to ascertain that a guide has achieved an internationally accepted level of competency and covered all relevant areas considered standard by the ISO. The ISO (International Organization for Standardization) is a worldwide federation of national standards bodies. We have produced a document disclosing what information we collect from you, how it is used what we do with it and what rights you have for complaints or filing a grievance. Our Forum page for member discussion will be live soon. We will send out a separate notice. 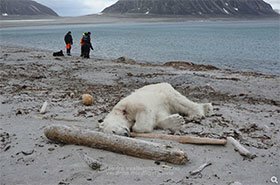 Most of you would have seen this terrible image from the incident in Svalbard. A ‘bear guard’ was attacked and a second guard shot the bear. It happened on a standard landing beach on Phippsoya in the Sjuoyane islands north of Spitsbergen. We hope that some sort of incident report will make it to guide level so guides (who are the front line of this sort of operation and most at risk) can understand what happened and learn from it. The PTGA will be doing what we can to try and make sure this happens and share all that we can. Congratulations to our most recent members reviewed through the RCC or Cross Credit scheme.